Hosting a gathering this holiday season? Whip up this easy-to-make fall appetizer inspired by a recent recipe I stumbled upon from Bon Appétit. I reserved some extra uncooked butternut squash cubes from Tuesday’s Butternut Squash Lasagna blog post in anticipation to today’s recipe. 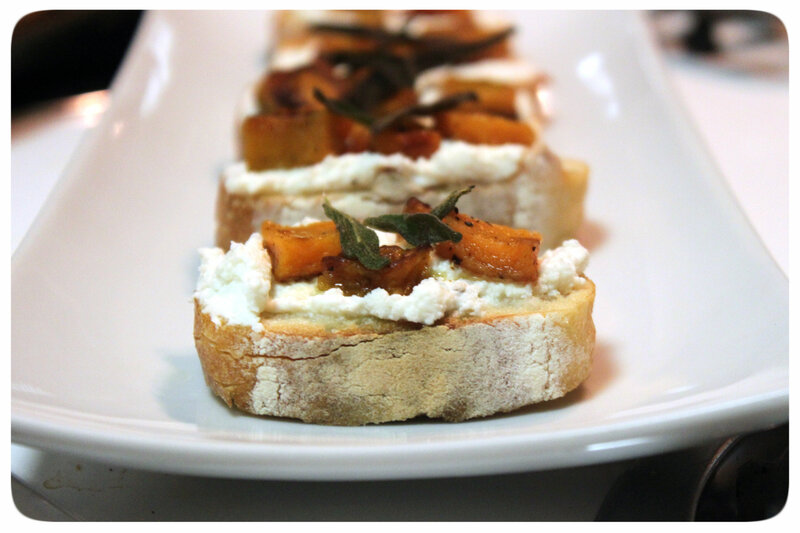 The fluffiness from the ricotta and brightness from the lemon really complement the butternut squash…making this a beautifully balance and easy hors d’oeuvre. 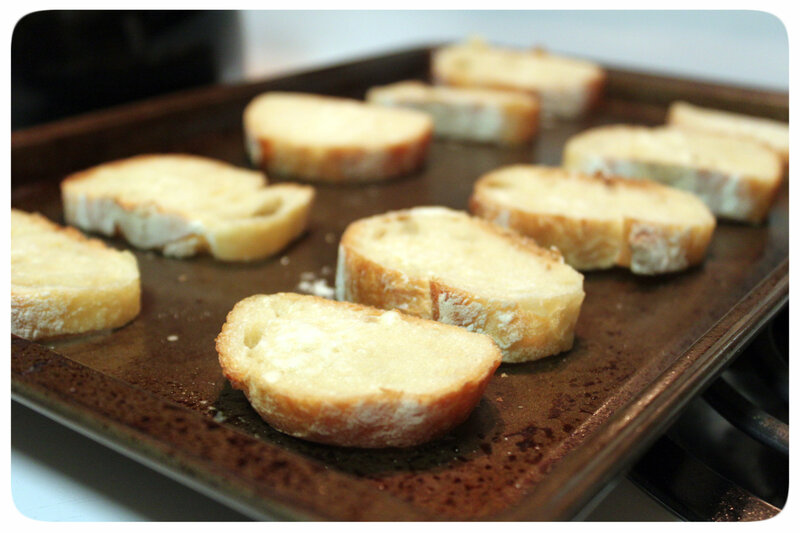 Preheat oven to 400 degrees F. Lightly brush bread slices with olive oil and toast in the oven for about 7 minutes. 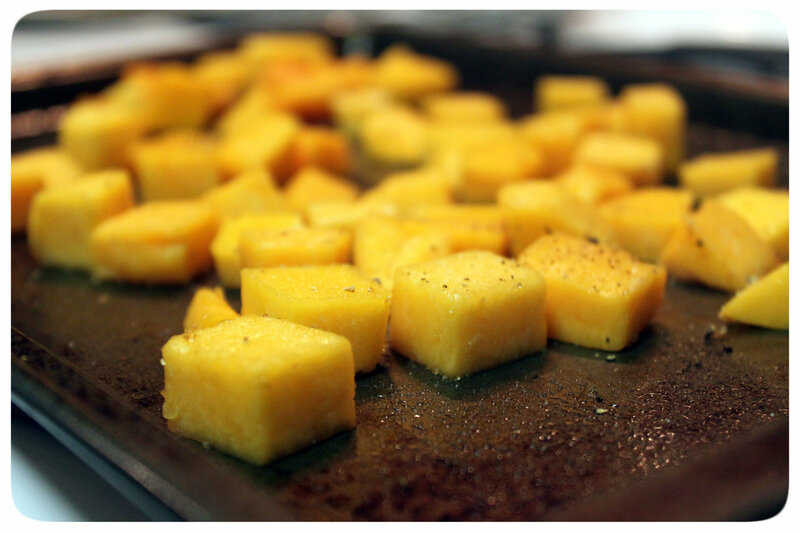 While crostinis are in the oven, begin to peel, seed and cut butternut squash into 1/2 inch cubes. Coat squash with olive oil and brown sugar. Season with salt and pepper and arrange squash pieces in a single layer on a baking sheet. Remove crostinis and increase oven temperature to 425 degrees F. Roast squash, turning occasionally, until squash is golden brown and tender (about 20 -25 minutes.) Allow to cool. Heat olive oil in a small skillet over medium – high heat. Fry sage leaves for about 30 seconds to 1 minute – until edges begin to curl and leaves begin to turn dark green. Careful not to burn the leaves. Transfer leaves to a paper towel to drain. Begin ricotta mixture by combining cheese, lemon zest, salt and pepper. 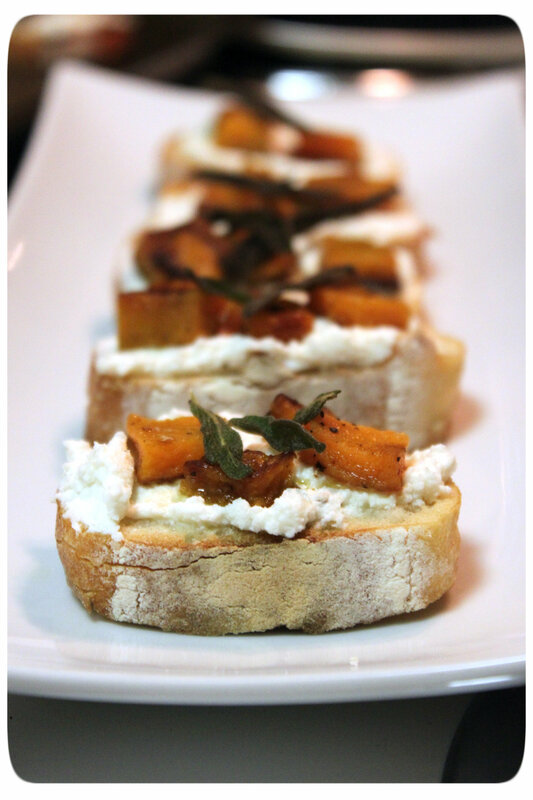 Spread ricotta mixture on crostini and top with a few cubes of butternut squash. Drizzle olive oil and lemon juice on bread slice and season with salt and pepper. 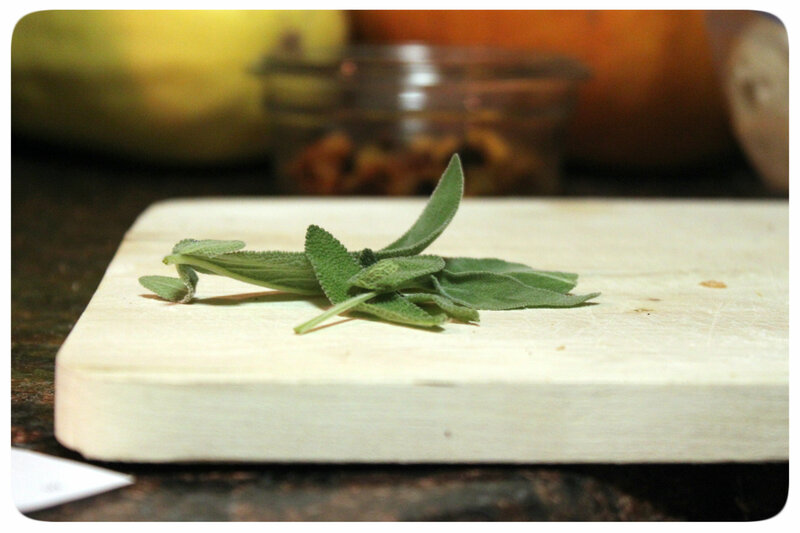 Garnish with fried sage leaves.